Durga, a beautiful warrior seated upon a tiger, was the first appearance of the great goddess. The circumstance of her miraculous arrival was the tyranny of the monster-demon Mahishasur, who through terrific austerities had acquired invincible strength. The gods were afraid of this water-buffalo bull because neither Vishnu nor Shiva could prevail against him. 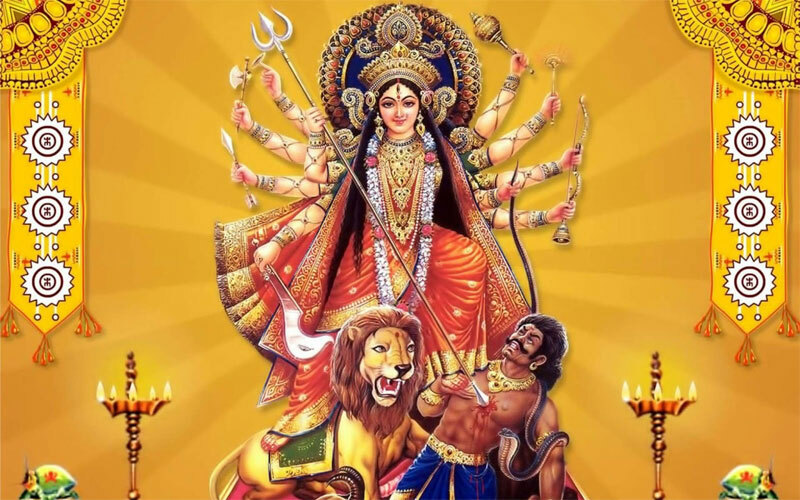 It seemed that the joint energy of Shakti was only capable of vanquishing Mahisha, and so it was the eighteen-armed Durga who went out to do battle.